Building a Brand that Stands Out . For a startup, conscious efforts towards building a brand can be stressful, confusing and all together forgotten, not only because of limited resources but also because the market is forcing companies to change their business model and evolve at a rapid pace. Besides, when there is a constant battle to keep the company afloat, getting the next customer or the next investor takes full priority and other seemingly unimportant aspects take the back seat. 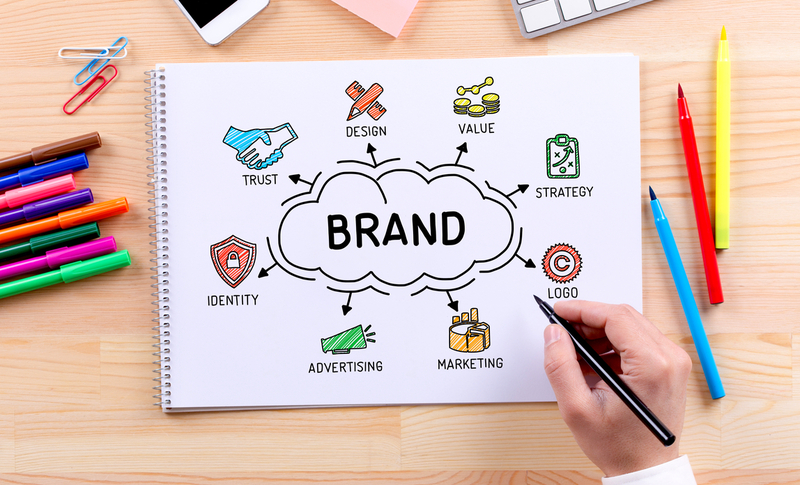 After all a company can’t be spending on beautiful logo design or getting their website revamped- in other words “branding” can take a back seat. Or can it? What does branding even mean? We wanted to demystify the jargons and complexities associated with branding and help young companies to understand the true essence of the word to move away from the mechanics of the process and closer to thinking about the brand being the soul of a company. After all, brand building is a process that needs to begin from day 1 of the business and not when the resources are a plenty. To help our cause, Suhas Misra, founder of Paper Boat at Hector Beverages, enthusiastically agreed to participate as our expert on Ankur Capital’s Startup Masterclass. On the other side we had two startup founders-Jagdeep from Karma Healthcare (An Ankur portfolio company) and Nitin from AdKarlo. You can watch the link of the complete webinar here. Paper Boat today has manage to capture the imagination of the India consumers in a market dominated by global giants. Suhas took us through his journey at Hector Beverages and helped look at brand building the Paper Boat way. Here is our take from the webinar. What really went right for Paper Boat? In Suhas’s opinion any brand ought to be able to understand the "context" of people, wherein lies its foundation. In Paper Boat’s case, the team realized that there was a tremendous need for "category education". It was important to understand people's knowledge and their understanding of categories and products. While touching upon the difference between the consumers' interest in a product category and their interest in a brand it became imperative to recognize a need than to merely offer a solution; something Suhas believes young startups must pay heed to. A simple idea was behind the grand success of the brand “Paper Boat”. They discovered that people in the northern states consumed a beverage like aam panna and people along the Konkan region consumed Kokam, they were able to recognize what he called a "cultural beverage context". This niche only became stronger due to the hesitation larger companies felt in stepping into this market. Trust in the brand is paramount and that trust, once created, isn't easily displaced. This was one of the most important things to work for Paper Boat as well. Your company is a person and the person has a personality. Young entrepreneurs need not be really worry about terms the “Brand Identity” or “Brand consciousness” or “Brand value”. Fundamentally put, you have to start thinking that your company is a living person. That person has a soul, has values and has a vision. That is the place to start about thinking of your brand. The relationship between the brand and the consumer, while essentially transactional, is never devoid of an emotional layer, which is critical to the development of attitudes amongst consumers. The face and the personality of the brand need to say to the consumer what the product actually desires to say. But how does the brand have the personality? It, of course, comes from its makers. Self-articulation and self-reflection to develop the personality of the brand on an on-going basis and continuous feedback from the market is the way to start of creating something with a strong foundation. What about choosing a logo? What about the name? Both these should ideally be derived following the thought process above. There are several scientific methods to choose the logo depending on the industry you are focused in. You can have a look at this interesting info graph for more on this subject. Whether a brand name designed to for a local market will have to be changed to suit another market, particularly an international market, the solution is a simple one. Instead of undergoing the entire process of branding, the mere addition of a tag line would suffice. This, of course, depends on the brand and the market in which it is proposed to be launched; and while it may lose some or even all of its meaning in the said foreign language, it could still work with a strong tag line which could replenish the essence. Entrepreneurs in our previous webinar “What does a VC look for?” asked when should one give equity shares to an expert advisor or service provider instead of cash? The answer remains the same here. If you have strengths in other places but lack your team lacks skills in finance and accounting, there is nothing wrong in hiring an expert by paying in equity instead of cash. Building longer-term relationships through equity can prove to be really beneficial for young companies. The same applies for hiring a design consultant, or getting a mentor on board to help you think through your brand building process. We would like to leave you with some of Suhas’s favorite Indian Brands. Peter England: Their marketing campaign particularly because it managed to break from the established market practice. Advocating its marketing as "honest" he pointed out how they managed to provide to a consumer, who was both both brand and cost conscious, with an affordable, quality product. Fast Track: They managed to tap a market of consumers who weren't directly or indirectly a target to their campaign of sexual liberation. The admiration, of course, stems from the largely unorthodox risk, which other competitors would hesitate to take. Flipkart: The brand personality is so well articulated and communicated uniformly.